Satisfying Customers is our Greatest Reward! 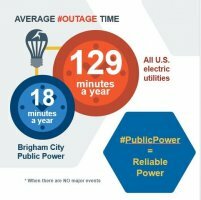 The mission statement of Brigham City Public Power is to provide consistent and uninterrupted electrical service to the citizens and businesses of Brigham City at an equitable cost and within a reasonable time frame. In 1904 Brigham City Public Power purchased a power generator and located it at the mouth of Box Elder Canyon. In 1922, as electrical needs increased, they constructed a new hydro power plant that still helps serve over 7,716 residents and businesses. There are 100 miles of distribution and transmission lines including eight substations and two power plants. We also have GIS mapping of all the power utilities in the City that will help us be more efficient in maintenance and better serve you in emergencies. Brigham City used 163 million KwH last year with a peak demand one month of 33,932 kW. Brigham City Public Power takes its mission of safety prevention and energy conservation education seriously, which is why we are offering short lessons and demonstrations to help promote awareness to both electrical safety and energy conservation to any organization or group who may have an interest in this service. 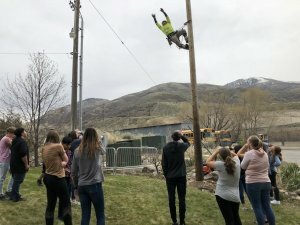 Tom Ammons, Brigham City Public Power's Resource Manager, has given safety presentations to various elementary school 3rd, 4th, and 5th grade classes, scouting groups, and church groups. 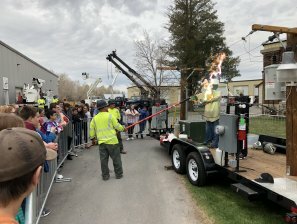 Brigham City Public Power also participated with the Lincoln Center's Night Out sponsored by the Brigham City Police Department and at the Brigham City Fire Station for Fire Prevention Week where we also gave ideas to assist citizens with energy conservation. With the rising cost of electricity we face, this is always helpful information. 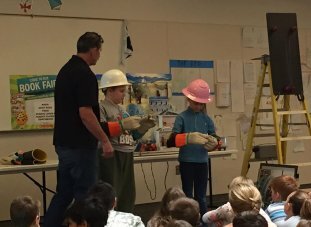 5th grade class about electrical safety and conservation. Tom has also made presentations to Box Elder High School for Career Day and to various women's groups on emergency preparedness. We have topics for all ages. Informative pamphlets and additional information are available to all Brigham City citizens and are located at Brigham City Hall, 20 North Main Street, on the 1st floor. Interested parties may contact Tom Ammons at (435)734-6625 to schedule presentations. Contractors click here for Brigham City Public Power's Load Sheet. Please call 435-734-6639 if you need to speak to someone about paying your bill or click here to pay online. 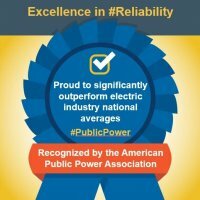 Brigham City Public Power = Reliable Power! 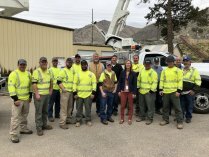 Brigham City Public Power Receives the Gold RP3 Designation! 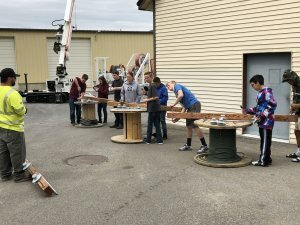 What would you do in a Power Outage?